It sounds like an act of witchcraft, but it's actually the cutting edge of medicine—on paper, at least. Researchers at China's Wuhan University say they can grow genetically engineered rice that yields blood. Human blood. 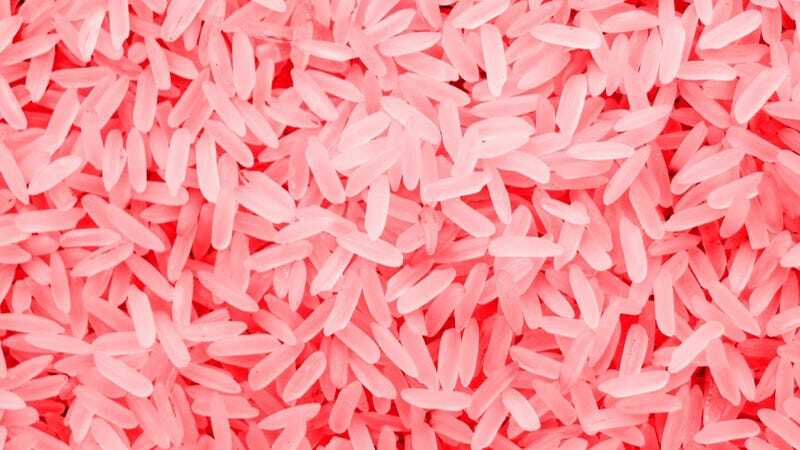 Blood rice. The trick lies in embedding human genes within the rice DNA, the Telegraph reports, which creates a protein needed for Human Serum Albumin—a valuable blood extract used in transfusions. So, why rice? No need to worry about HIV or other bloodborne pathogens. No need for exhausting blood drive campaigns—instead of vans filled with needles and cookies, we could grow our own blood in giant blood fields. Normally, the phrase "giant blood fields" would be an ominous and horrible one, but this could really change medicine. A near-infinite supply of the red stuff that could save a lot of lives.